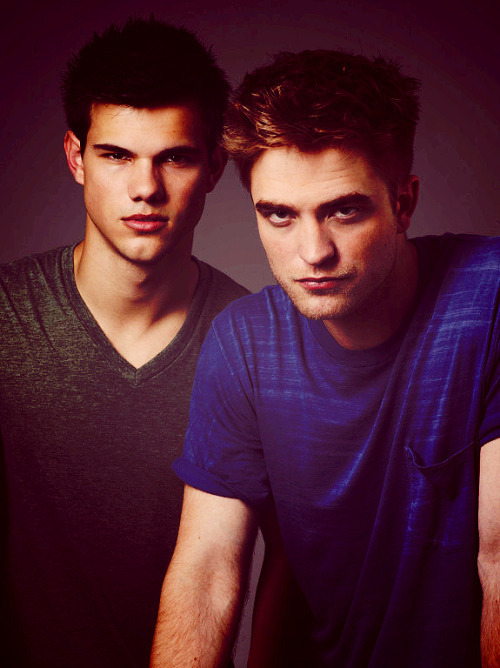 Welcome to the 10th Rob&Taylor Appreciation Thread. Describes the complicated love and affection shared by two straight males. 01. Because their bromance can't be denied. 02. Because Taylor thinks Rob is a great guy. 03. Because Rob chanted for Taylor to take his shirt off. 04. Because they both have the same favorite curse word. 05. Because Rob's favorite book is New Moon. 06. Because they both are fans of the Twilight Book Series. 07. Because they have secrets. 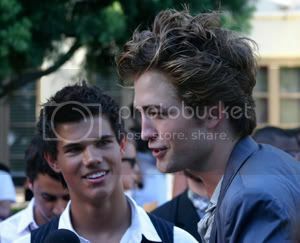 Robert Pattinson & Taylor Lautner Red Carpet Interview! Part 2 - What is your favorite swear word?! 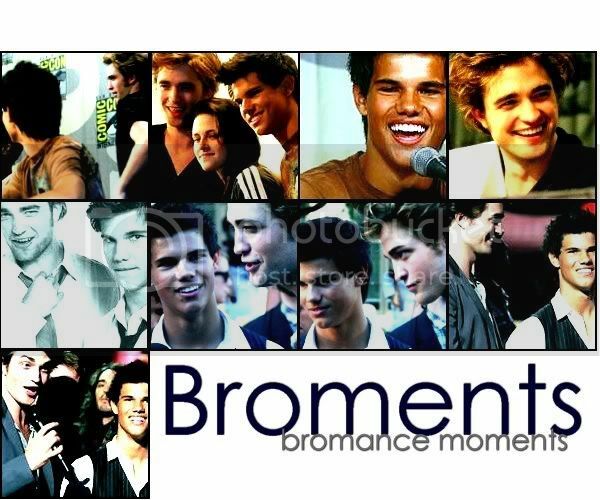 Rob&Taylor #1: Because their bromance can't be denied.